The dual concept of pre-modernity and modernity is a curious object of historiography. Not just original, it becomes double-edged, as soon as one realises its repercussions. Sufficiently unquestioned in our days, it can support an array of divisive, reductive and ideologically oriented positions. In contrast, the hypothesis of the post-modern age, or even just related suggestions in the so-called post-modern literature, have been duly and largely questioned. Indeed, when the supposed boundary of a new age of societies is before our eyes, the judgment is far from evident, but the question should remain open. Other categorisations of historical periods have entered into popular conceptions, but a number of them does not represent such risks : dividing historical events into the phase categories of the ‘Roman Empire’ or ‘High Middle Ages’ or ‘Industrious Revolution’ is fairly safe ideologically. It is reductive, for marginal events that may embody more features of the previous or the next phase, but the category as such is more descriptive than qualitatively implicit. Progress is the doctrine of the present winning over the past, and of the future over the present. The discourse is clearly arbitrary and one-sided, yet we have grown used to thinking in its terms : in Europe today, whether one is educated or not, whether one is aware of it or not, we assume that some major series of events allowed European societies to pass from an under-developed stage to one of proto-democracies endowed with capitalist economies. With the split of the pre-modern becoming modern, there is a strong hierarchy. This hierarchy implies two questionable arguments. First, it assumes that there is a consistent block called ‘modernity’, which can be distinguished from what it is not, namely as for its origins, ‘pre-modernity’. It rejects the possibility of a continuum. Second, this hierarchy also sets the value of the ‘modern’ era as superior to the previous. This implication does not arise from the concepts themselves, but it becomes so since the axiological climate in which the distinction is made – the periods of the Enlightenment and its offspring – is one which values precisely progress, that is, advancement, activity, action, performance. Progress is the doctrine of the present winning over the past, and of the future over the present. The discourse is clearly arbitrary and one-sided, yet we have grown used to thinking in its terms : in Europe today, whether one is educated or not, whether one is aware of it or not, we assume that some major series of events allowed European societies to pass from an under-developed stage to one of proto-democracies endowed with capitalist economies. It has formed a sort of collective subconscious. Modern times would thus be unexpected, miraculous and abnormal developments in the course of humanity’s history. And this would be our common sense. But what could have been these major events, precisely, which took place during the last four centuries ? Kant, concluding the fecund Enlightenment century, realised that what all these breakthroughs had in common was a ‘new’ reliance on reason. But the Enlightenment was also the direct descendant of the Renaissance, literally the ‘rebirth’, and it is Greek thought that was ‘rediscovered’ at that point. Borrowing from Aristotle the conveniently ‘objective’ language of logic, Enlightenment philosophers suggested that humans should evaluate all sorts of knowledge through their own, inner rational procedures. Reliance upon the autocratic sacred authorities was not necessary anymore. The agnostic agenda of the Enlightenment was hardly dissimulated. No Enlightenment figure was far removed from theological matters. While Galileo had to deny his results before the Church, Newton still postulated God-like absolute time and space, and Descartes’ works only aimed ultimately at proving the existence of God. But Kant, while Christian in his imagery, left no fundamental function to any God, because his redefinition of the human had made of it a self-sufficient being. One century later, there was no more seat for God in Hegel’s history of the world, expect perhaps its own, old costume: the Spirit or Geist. Each century marked a further distantiation from religion, and in particular, Christianity. But this very movement of a critical distantiation from dogmas is reminiscent of certain old narratives, and those narratives belong to religious traditions. The cosmology of the Christian texts, precisely, appear like a premonitory pattern for the Enlightenment : a strong wave of doubts regarding the authority of the tradition. But this would lead only to a change of form of Christianity itself – even through the Apocalypse, the Christian message would not be vanquished, it would survive, and even succeed, in other forms : values, institutions, traditions, culture. Religious Christianity would have thus become secular Christianity. Kant, who dreamed of a cosmopolitan society, could only do so within a Christian imagery. 1 And Nietzsche, a few decades later, would notice that the most reactionary atheists are just as Christian as everyone else : they have made the non-existence of God their new sacred truth. 2 In western societies, one hardly escapes the tentacular arms of the Christian civilisation. 3 If Europe is fundamentally the Greco-Christian, the Enlightenment century certainly hoped to see the former take over the latter. They had missed the fact that most of what had ever been received from the Greeks was always already interpreted through Christian frames. If Europe is fundamentally the Greco-Christian, the Enlightenment century certainly hoped to see the former take over the latter. They had missed the fact that most of what had ever been received from the Greeks was always already interpreted through Christian frames. And a few other facts may have been lost between the lights of the Lumières. A classical argument in favour of the pre-modern/modern shift concerns the hypothesis of a marked passage from the Middle Ages to the Renaissance. The former would be the ‘Dark Ages’, the almost miraculous possibility of a period of nearly one thousand years without any major philosophical, political or technological improvement. While this itself has been questioned, we should also note that in any case actual progress was occurring at least elsewhere : in the Arab knowledge centres, where Aristotle was re-discovered from a distinct route, before being brought back to European capitals in the 13th century. 4 Knowledge circulation did not wait for modernity to travel great distances. And the Middle Ages were not necessarily ‘pre-modern’ ; they were, simply, not on the ‘spotlight’ of the intellectual and technological improvements of those days. And there were other instances of major knowledge circulation. Gaivin Menzies has built an elaborate, yet controversial case to suggest that most of the technological ‘inventions’ of the Renaissance, including the works of Da Vinci, were in fact greatly inspired – if not merely replicated – from manuscripts left during Chinese embassies in visit to Venice in 1434. 5 The ‘modern’ period would thus not start with an immanent ‘awakening’ of reason in a civilisation till then lost in obscurantism, but, more simply, in the contingent ability to build upon major foreign technological advancements. And this financial capacity was, naturally, due to the budding economy of the European colonies. The Lumieres were thus neither a miracle, nor a climax of benevolence. The light of the Enlightenment did not appear out of nowhere. Today, substantial parts of the international intellectual community are aware of this rectified history of Europe, a continent now known as having been profoundly dependent on other civilisations for its growth. But if this is so, how can we explain that the pre-modern/modern distinction has remained a largely unquestioned point ? While German idealism, up to Hegel, extended the universalist projects of the Enlightenment, perhaps as much as phenomenology still followed a post-Kantian subjectivism with excess, many intellectual voices of the twenty century in response have attempted a thoroughly critical assessment of the dominant discourse that had posited the Enlightenment as the major historical shift of European history. In spite of some insightful contributions, the persistence of such beliefs behind the unbreakable temporal boundary of the pre-modern/modern show that no theoretical model has managed to properly unbuild the assumptions of this distinction. They have failed in presenting what may be its ideological and manufactured nature. Asserting, again and again, the dogma according to which European societies moved away from pre-modernity, is only allowing us, contemporary Europeans, to enjoy self-congratulatory discourses vis-à-vis our own values. 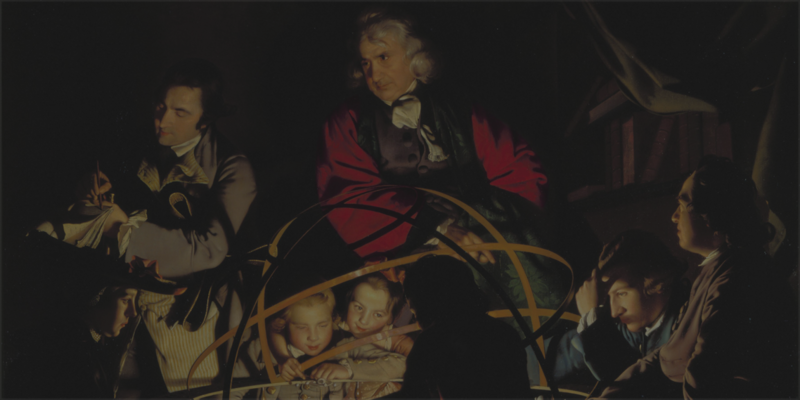 While historical accounts are common across all societies, and with them, discourses on what makes past and present, the Enlightenment discourse seems particularly unique. The intensity with which it affirms the shift between pre-modern and modern societies is the parameter that must be explained. Why is there such an anxiety, such a fear in the post-Enlightenment psyche, which has led to truly ‘incarcerate’, with such a determination, certain periods of European history, behind the closed doors of the revolved past ? This intensity is perhaps the reverberation of Europe’s own doubts about its very present. As Hegel suggested, but also, much before him, Buddhism, from a much different cultural milieu, identity is often, if not always, developed through opposition : contemporary Europe, while still doubtful of what it is, could at least claim to be not pre-modern Europe. While this demarcation could be understood on the part of a movement such as the Enlightenment, which still had to dissociate itself from its immediate past, the insistence makes hardly any sense today : we do not even claim that our generation is radically different from the previous. Rather, we insist that it is the founding values of our democratic and liberal nation-states that are, still today, the only possible responses to what were, beyond a doubt, the patterns of pre-modernity, such as its speculated political abuses and forceful social structures. Asserting, again and again, the dogma according to which European societies moved away from pre-modernity, is only allowing us, contemporary Europeans, to enjoy self-congratulatory discourses vis-à-vis our own values. And it leads to such a poisoned treat, regardless of anyone’s political preferences. After all, the most materialist forms of libertarian capitalism and the most idealist equalitarian communities both found an equal cradle in their Enlightened origins. The Enlightenment is revered for the appearance of alternatives and flexibility that it permitted, but in fact, it only supports a limited set of social, cultural and political possibilities. Till date, any new movement which is not compelling with the norms of say, justice, reason or equality, are deemed unacceptable by most of the European civil society. The metaphysics of presence, and one of its avatars, ‘modernity’, reveal the radically conservative and surprisingly reactionary structure of political trajectories in the European psyche. Once the Enlightenment was presented as the ‘modern’ turn, one era of philosophical improvements took an entire civilisation in hostage, leaving it, today, incapable of thinking present and future through genuinely different ‘lights’. Stuck in its own Stockholm Syndrome. It could be described, also, as yet another form of the ‘metaphysics of presence’ as discussed by Jacques Derrida — that is, the difficulty in western culture, from the Greeks till the so-called ‘modernity’, to think about reality outside of a factual or imagined setting of presence. 6 The Enlightenment century had set the scene for a ‘modern’ Europe working in ‘closed circuits’ : the past is understood through the very peculiar categories of the present, while the future is only a ‘present to come’ ; it must be prepared strictly with the ingredients that have been making society till now. What is missed here is the undeniable nature of the future as deeply unforeseeable. This is what Emmanuel Levinas explained in 1949, in a passage that would directly inspire Derrida’s concept of the avenir 7 : “The future is what is in no way grasped. The exteriority of the future is totally different from spatial exteriority precisely through the fact that the future is absolutely surprising.” 8 The metaphysics of presence, and one of its avatars, ‘modernity’, reveal the radically conservative and surprisingly reactionary structure of political trajectories in the European psyche. Once the Enlightenment was presented as the ‘modern’ turn, one era of philosophical improvements took an entire civilisation in hostage, leaving it, today, incapable of thinking present and future through genuinely different ‘lights’. Stuck in its own Stockholm Syndrome. Bala, Arun. The Dialogue of Civilizations in the Birth of Modern Science. Basingstoke: Palgrave Macmillan, 2008. Braudel, Fernand. Civilization and Capitalism, 15th-18th century, Volume 2: The Wheels of Commerce. Translated by Sian Reynold. Berkeley: University of California Press, 1992. Derrida, Jacques. Speech and Phenomena and other essays on Husserl’s Theory of Signs. Translated by David B. Allison. Evanston: Northwestern University Press, 1973. Derrida, Jacques. The Other Heading: Reflections on Today’s Europe. Translated by P.-A. Brault and M. Naas. Bloomington: Indiana University Press, 1992. Huntington, Samuel P. The Clash of Civilizations and the Remaking of World Order. New York: Simon & Schuster, 2011. Kumar, Apaar. “Theology as the Handmaiden of Philosophy? : Kant on the Relationship between Faith and Reason.” Paper presented at the Workshop on Science and Religion, Manipal Centre for Philosophy and Humanities, Manipal, India, November 9-10, 2013. Levinas, Emmanuel. Time and the Other. Translated by Richard A. Cohen. Pittsburgh, PA: Duquesne University Press, 1987. Menzies, Gavin. 1434: the Year a Magnificent Chinese Fleet Sailed to Italy and Ignited the Renaissance. New York: Harper Perennial, 2009. Nancy, Jean-Luc. Dis-enclosure: the Deconstruction of Christianity. Translated by Bettina Bergo, Gabriel Malenfant, and Michael B. Smith. New York: Fordham University Press, 2008. Narayana Rao, Velcheru, Shulman, David and Subrahmanyam, Sanjay. Textures of Time: Writing History in South India 1600-1800. Delhi: Permanent Black, 2001. Nietzsche, Friedrich. On The Genealogy of Morals. Translated by Walter Kaufmann and R.J. Hollingdale. New York: Vintage Books, 1989. Pollock, Sheldon. The Language of the Gods in the World of Men: Sanskrit, Culture, and Power in Premodern India. Berkeley & London: University of California Press, 2009. Raghuramaraju, A. Philosophy and India: Ancestors, Outsiders, and Predecessors. New Delhi: Oxford University Press, 2013. Shulman, David. More than Real: A History of the Imagination in South India. Cambridge: Harvard University Press, 2012. Apaar Kumar, “Theology as the Handmaiden of Philosophy? : Kant on the Relationship between Faith and Reason” (paper presented at the Workshop on Science and Religion, Manipal Centre for Philosophy and Humanities, Manipal, India, November 9-10, 2013). Friedrich Nietzsche, On The Genealogy of Morals, translated by Walter Kaufmann and R.J. Hollingdale (New York: Vintage Books, 1989). Jean-Luc Nancy, Dis-enclosure: the Deconstruction of Christianity, translated by Bettina Bergo, Gabriel Malenfant, and Michael B. Smith (New York: Fordham University Press, 2008). See for instance Arun Bala, The Dialogue of Civilizations in the Birth of Modern Science (Basingstoke: Palgrave Macmillan, 2008), 85-106. Gavin Menzies, 1434: the Year a Magnificent Chinese Fleet Sailed to Italy and Ignited the Renaissance (New York: Harper Perennial, 2009). On western philosophy as a phonocentric tradition requiring the presence of the subject, see Jacques Derrida, Of Grammatology, translated by Gayatri Chakravorty Spivak (Baltimore: Johns Hopkins University Press, 1976). On the doctrine of a consciousness-mediated truth in Husserl, necessitating for a truth to always be experienced in the present, see Jacques Derrida, Speech and Phenomena and other essays on Husserl’s Theory of Signs, translated by David B. Allison (Evanston: Northwestern University Press, 1973). Derrida contrasted the future, the general time ahead of us, in which we plan and prepare projects, and the avenir, or ‘to-come’, the future as the impossibly known, the future of the surprise, of the unexpected : the future that resists our projections. In The Other Heading, he describes democracy as being necessarily democracy to come, that is, as a process never completed, but also as a sort of promise, a leap towards the future that acknowledges the unpredictability of what will come. See Jacques Derrida, The Other Heading: Reflections on Today’s Europe, translated by P.-A. Brault and M. Naas (Bloomington: Indiana University Press, 1992). Emmanuel Levinas, Time and the Other, translated by Richard A. Cohen (Pittsburgh, PA: Duquesne University Press, 1987), 76.